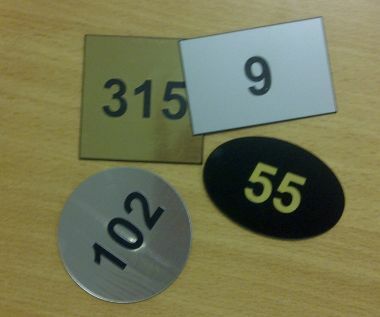 Our Acrylic Room Numbers are supplied at 1.5mm thick and available in a range of shapes and sizes. They are supplied in impact acrylic which is available in a variety of colour combinations and is easy to clean. The text is engraved through the top layer of the material to expose a contrasting colour.